Jared Lakind does not have any MLB stats for the season. Draft: 2010, Pittsburgh Pirates, 23rd rd. November 23, 2018 Charros de Jalisco placed LHP Jared Lakind on the reserve list. October 9, 2018 LHP Jared Lakind assigned to Charros de Jalisco. November 6, 2017 LHP Jared Lakind elected free agency. August 31, 2017 LHP Jared Lakind assigned to Jupiter Hammerheads from Greensboro Grasshoppers. 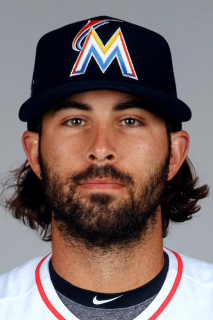 July 13, 2017 Miami Marlins signed free agent LHP Jared Lakind to a minor league contract. July 13, 2017 LHP Jared Lakind assigned to Greensboro Grasshoppers. July 7, 2017 Altoona Curve released LHP Jared Lakind. January 9, 2017 Pittsburgh Pirates invited non-roster LHP Jared Lakind to spring training. April 4, 2016 LHP Jared Lakind assigned to Altoona Curve from West Virginia Power. March 25, 2016 LHP Jared Lakind assigned to Pittsburgh Pirates. July 9, 2015 LHP Jared Lakind assigned to West Virginia Power from Bradenton Marauders. June 22, 2015 Bradenton Marauders sent LHP Jared Lakind on a rehab assignment to GCL Pirates. April 9, 2015 LHP Jared Lakind assigned to Bradenton Marauders from West Virginia Power. July 23, 2014 Jared Lakind assigned to West Virginia Power from Jamestown Jammers. July 23, 2014 LHP Jared Lakind assigned to West Virginia Power from Jamestown Jammers. June 19, 2014 Jared Lakind assigned to Jamestown Jammers from West Virginia Power. May 19, 2014 LHP Jared Lakind assigned to West Virginia Power from Jamestown Jammers. June 25, 2013 Jamestown Jammers activated LHP Jared Lakind from the 7-day disabled list. June 17, 2013 Jamestown Jammers placed 1B Jared Lakind on the 7-day disabled list. June 16, 2012 1B Jared Lakind assigned to State College Spikes from GCL Pirates. August 18, 2010 Jared Lakind assigned to GCL Pirates from Pittsburgh Pirates. August 16, 2010 Pittsburgh Pirates signed 1B Jared Lakind.